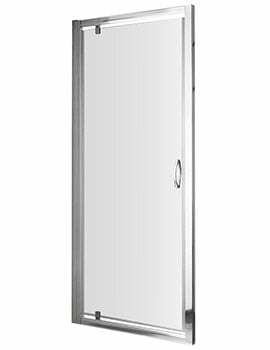 The superior construction and elegant doors listed at AQVA can enhance any bathroom decor, whether it is traditional or modern. 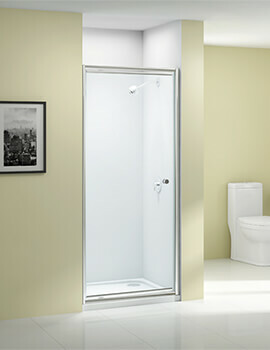 Pivot door slots into a dedicated space and pivots on the top and bottom pins fitted to the frame, which allows the door to open and shut properly, and tightly, so there are no leakages. 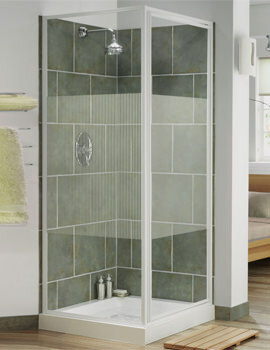 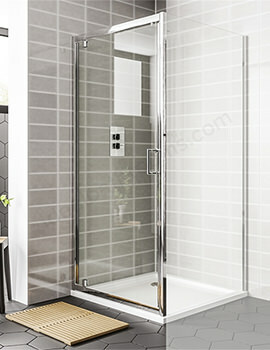 The reason this type scores over many others is its versatility, which allows it to be used in both an alcove situation or with a full shower enclosure with side panels. 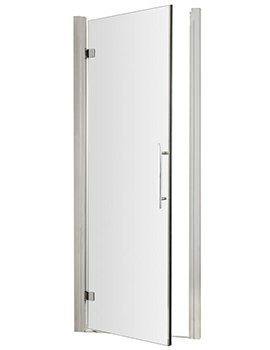 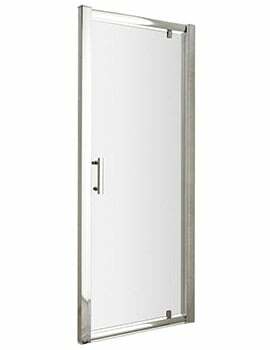 The beauty of hinged or pivot shower door is that it can be fitted between two walls to turn into a complete enclosure. 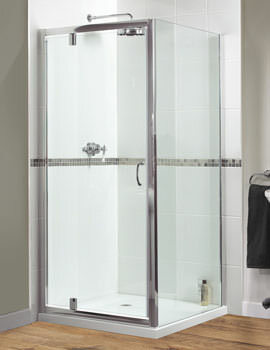 Alternatively, it can be fitted to one wall with a glass side panel to make it as a two-sided enclosure. 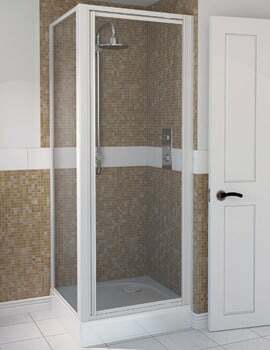 Since they use regular hinged joints, they allow a much broader entrance, making them ideal for all levels of accessibility. 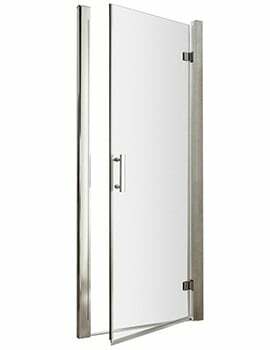 We tend to offer the best choices to customers that feature exceptional comfort, brilliant design and unmatched quality, which makes these doors the perfect accompaniment to your shower space. 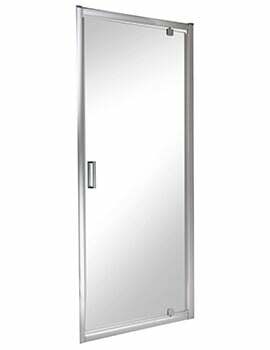 Below, we have listed various sizes along with their illustrations.